Betty Lou Terry was born in Miami Arizona, October 27th, 1926 to Bill and Allie Terry. She was the second of five children; Ernest “Bud” Terry, Allie Faye Shaw, Sarah Stallings, and Mary Lee Wallace. Throughout her school years, Betty Lou enjoyed playing on her school’s basketball team. She graduated from Mesilla Park, New Mexico in 1944. During her final years of school, she crossed paths with Henry Carlton Tanner, Sr. when he went to her house to pick up his older brother’s girlfriend, Aunt Nelda. As the girls walked out of the house, Henry saw Betty Lou and said to himself “that is the girl I am going to marry.” One year later, when she was 18 years old, she was officially introduced to the love of her life. Together they were united in marriage December 23rd, 1946. Within that marriage came 4 beautiful children, the first of them being Elizabeth “Carlane”, second Henry “Hank” Carlton, third Susan Ann, and finally Tina Louise. Betty Lou enjoyed being a house wife until Carlane was 16 years of age. After that, she enjoyed working for the state of Arizona. On April 27th, 1986, Betty Lou lost the love of her life and eventually retired within the next 5 years. 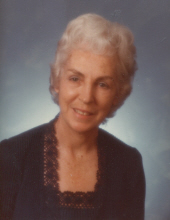 During her retirement years she loved taking care of her family, especially her grandchildren. She is preceded in death by her sister Sarah Ann, father Bill and mother Allie, her husband Henry Carlton, Sr., daughter Susan Ann, son Henry Carlton, Jr., and daughter Tina Louise. She is survived by her brother Ernest “Bud” Terry, sister Allie Faye Shaw, sister Mary Lee Wallace, daughter Carlane Stephan; Grandchildren: David and (April) Tanner, Heather and (Doug) Fields, Andrea Stephan, Tara Stephan and Dan Mistarka, Sarah and (Dana) Dankert, Peyton Gurule, Tanner Gurule; Great-Grandchildren Brad Tanner, Nicholas Tanner, Kaden Tanner, Amaya Tanner, Tristan Hopkins, Malik Hooper, Tarik Hooper, Kyna Stephan, Landon Sautter, and Great-Great Grandson Rowan Henry Hopkins. To send flowers or a remembrance gift to the family of Betty Lou Tanner, please visit our Tribute Store. "Email Address" would like to share the life celebration of Betty Lou Tanner. Click on the "link" to go to share a favorite memory or leave a condolence message for the family.